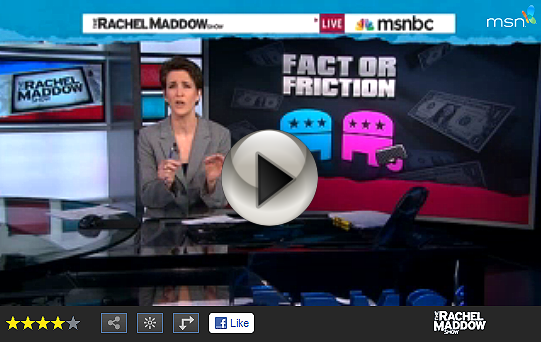 This is a great segment of Rachel Maddow and one that every woman should take the time to watch. Rachel lays out the facts on the discrepancy between men's pay and women's pay. April 30: Heidi Hartmann, founder of the Institute for Women’s Policy Research, joins Rachel Maddow to lay out the factual case that, contrary to the arbitrary beliefs in Republican World, women are indeed paid less than men for the same work in the United States of America.